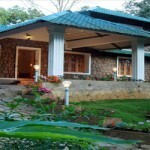 Sisiram Cottage is a homestay located in the heart of Munnar offering breathtaking views of the highest peak Anamudi. The cottage provides homely atmosphere with the cottages and rooms which provides all the basic amenities and also homely food is served from an in-house kitchen. The homestay is a perfect destination for visitors who want to have a relaxing and rejuvenating holiday experience in homely atmosphere surrounded with mystifying beauty of Munnar. Sisiram Cottage offers comfortable accommodation in it’s 8 rooms which are well-equipped with the basic amenities. 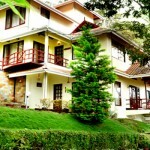 The rooms provide homely atmosphere and offers panoramic views of the highest peak of south India ‘Anamudi’. Room Amenities: Satellite Television, Private Bathroom, 24 Hour Hot/Cold running water, Balcony, Telephone. Facilities: Doctor on Call, Parking Facility, Room Service, Laundry Service, Garden, Taxi Services, Travel Desk. Recreational Facilities: Outdoor activities, Sightseeing. Dining in Sisiram Cottage Munnar : Sisiram Cottage does not have a restaurant and it arranges food on request from outside and an in-house kitchen at an extra charge. 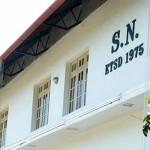 Sisiram Cottage is located on M.S.A. road in Munnar about 1 km from main town. The homestay is located at about 135 km from nearest major railway station, Ernakulam junction railway station and 120 km from Cochin International Airport. The homestay is located at a distance of about 140 km from Kochi, 160 km from Madurai, 180 km from Madurai, 110 km from Thekkady and 120 km from Kodaikanal. 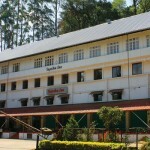 Nearby tourist locations to visit from Sisiram Cottage Munnar: Mattupetty, Pothanmedu, Devikulam, Attukal, Pallivasal, Nyayamakad, Chithirapuram, Lock Heart Gap, Rajamala, Echo Point, Eravikulam National Park, Power House waterfalls, Kundala, Anayirankal, Top Station, Marayoor, Chinnar Wildlife Sanctuary, Amaravathi Dam. 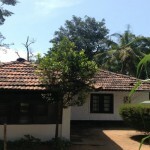 Sisiram Cottage Homestay tariff starts from Rs. 1,500/- per room per night.